Yesterday I saw this lovely photo from the cherry blossom girl via (decor8). 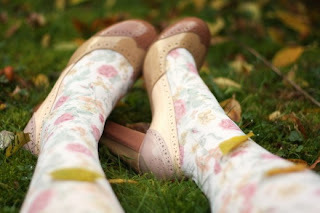 She loves her new floral tights, and I love her shoes. 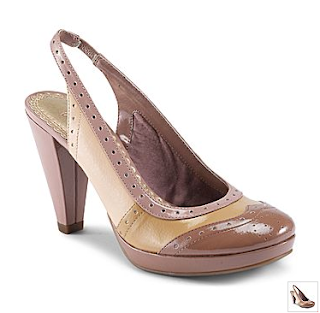 And then I came across these shoes from JC Penny, on sale this weekend for $19.99, and I just got a $10 off coupon in the mail from them too. Saweet! $10 shoes for me! I might just have to buy both colors! Free shipping too, on orders of $25 or more.